gallamore west: St. Patrick's Day @ O'Gallamore West! St. Patrick's Day @ O'Gallamore West! "The leprechaun is going to bring us CAKE!" I have no idea where he got that, but this little leprechaun didn't disappoint. and when the boys woke up there was gold glitter everywhere! He brought us "Kiss Me, I'm Cute" cupcakes. If you look closely you can see where the Leprechaun put a tiny bit of green food coloring into the bottom of the straw so the milk magically turned green when I poured it in! He hid all of the boys shoes in really funny places! And he put gold candies in their shoes. For those of you who tell me my house is always clean... this is for you! I used these free printables from Anna and Blue Paperie for little gifts for the boys' teachers. 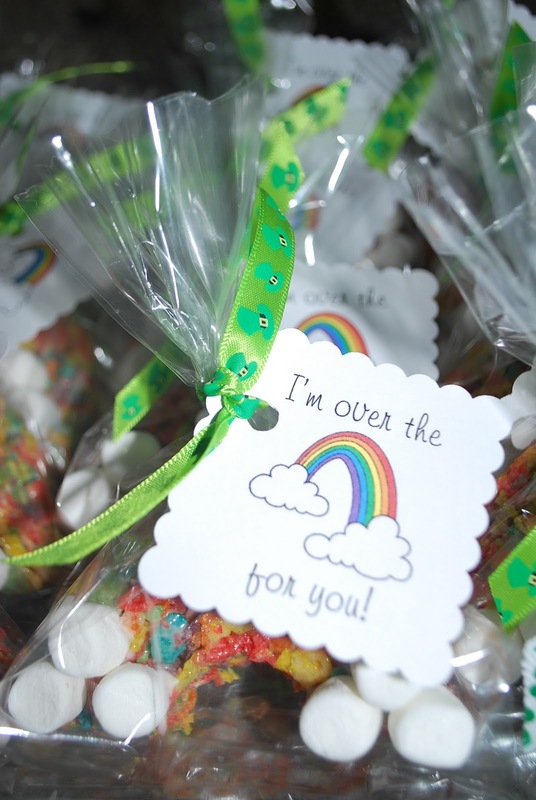 I made Rainbow Krispies for Jake's preschool class and Sam's Kindergarten class. I made the little tags after I got the idea from here. Hers were absolutely adorable and I even thought of switching to that idea, but couldn't find the right candy. his face and hair today while trying to carry him along with a bazillion other things... sorry Lukers! 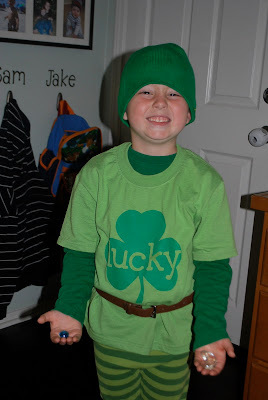 to dress up like someone who represents the holiday... here's Sam the Leprechaun! That shirt is Take 2 of the freezer paper shirt and it came out perfectly!! This really has nothing to do with St. Patrick's Day other than that it happened today... the ONE time I hadn't sent in extra clothes in case of emergency because Jake is running low on pants and because they NEVER, EVER have needed them. He came home in pants labeled "preschool" today. I think this little note is so sweet because Jake hardly ever gets upset about little things but I guess spilling an entire container of apple juice on yourself isn't really a little thing when you're three! These are my lucky charms. I love your treats! Wish I had a color printer, sob! But I love even more that your son gets dressed up for every holiday! That's a kid after my own heart! Thanks for visiting my blog and leaving such a nice comment! 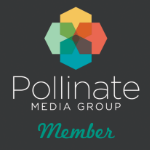 I'm a new follower and hope you can come back and visit me again too! That's funny.....my to-do lists are on the same paper! lol!